For any pitch-regulated turbine, you need a pitch control system within the overall control setup. A pitch control system is a critical part of any successful wind turbine design -- its absence would doom your project. Yet its definition is commonly misunderstood and misinterpreted. How Does a Pitch Control System Work? A pitch control system’s goal is to both monitor and adjust a wind turbine's rotor blade angle. These blades -- which can be as long as 65 meters or more -- are responsible for the turbine's rotational speed. The pitch control system adjusts these blades by rotating them so they can capture the optimal amount of wind energy, resulting in the best power output. This aspect must be balanced against the turbine's rated output and to protect the structure in the event of a loss of electrical load, high winds, or abnormal conditions. This pitch angle gets transferred as a pitch angle “demand” to the pitch system. If the demand angle and actual angles don’t match, the pitch control system then focuses power to either the fluid in the hydraulic cylinder or to the electric motor. This allows the actuator to move the blade to the proper angle. Many people use the term “pitch control system” in place of “pitch actuator system,” and vice versa. They’re not quite interchangeable, though. The blade pitch actuator is actually a subsystem of a wind turbine’s pitch control system. The pitch control system creates pitch angle demands through the actuator subsystem. In spite of the crucial role that pitch controls play, they comprise less than 3% of the capital expense associated with a wind turbine, according to Machine Design. Pitch subsystems account for 23% of all downtime associated with wind turbines and 21% of all component failures, author Prasad Padman said in a 2016 article in North American Clean Energy magazine. When a wind turbine is offline because of unplanned maintenance, the owner/operator stands to lose an average of several thousand dollars each day. The location of the pitch controls provides further challenges in the event of such a failure. This is because the pitch actuators are in the hub of the wind turbine. 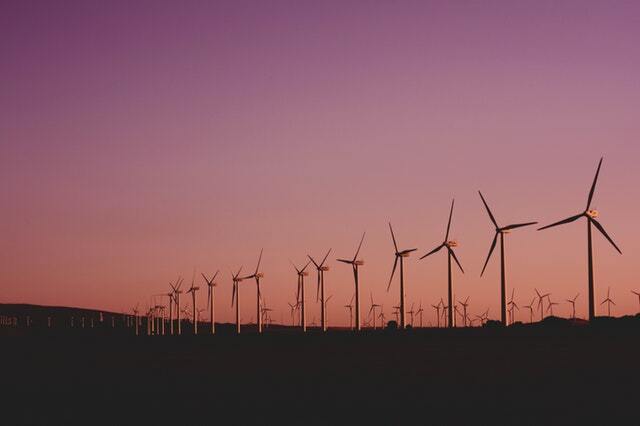 Because wind turbines are often located in a remote site and because the hub of each wind turbine can be more than 500 feet in the air, the expense of maintaining them can be cost-prohibitive. That’s why having one that stays on course with minimal interruption is a smart investment. Technological advances in pitch control have given engineers the ability to optimize turbine performance and blade design for better productivity. The pitch actuator design process, combined with actuator revolutionary power conversion techniques, enables cost-optimized use of ultracapacitor power backup. The process and technology offer reliable and maintenance-free solutions at the lowest possible cost. The best pitch control systems are designed to withstand even the harshest conditions to provide the longevity needed so you can focus on new opportunities. If you’re constantly replacing parts or diagnosing fault issues, your energy efforts will never grow.